Tell your opponent thatit's your birthday and win the match, because it's your................................................ BIRTHDAY!!! 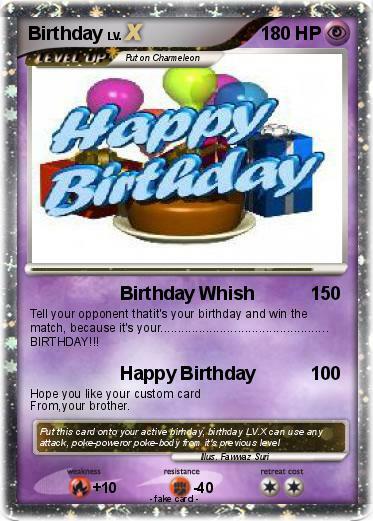 Hope you like your custom card From,your brother.